Through the name, we can easily know that it is usually used for BBQ in a camping or picnic, etc. This kind of mesh is Crimped Wire Mesh or Welded Wire Mesh in material of stainless steel wire or galvanized steel wire. 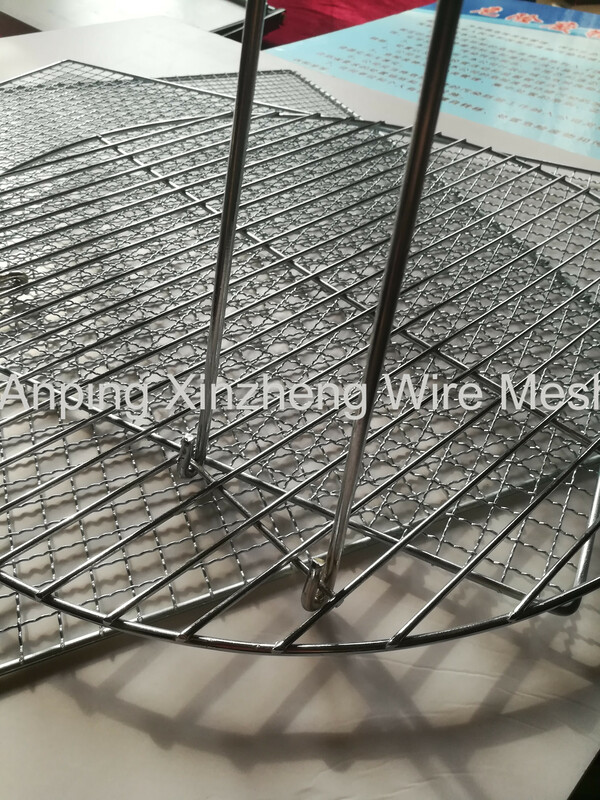 Barbecue Wire Mesh is mainly used inrestaurant, hotel, camping, barbecue restaurant, picnic, military activity, travel, etc. And it is more popular among barbecue lovers. Different country and different areas have different preferences, and our BBQ mesh have different design according to regional habits. We can supply Woven Mesh Products, crimped wire mesh, Expanded Metal Mesh, Perforated Metal Mesh, or square wire mesh, steel mesh and so on. Looking for ideal Mesh for Barbecue Manufacturer & supplier ? We have a wide selection at great prices to help you get creative. All the Barbecue Grill Wire Mesh are quality guaranteed. We are China Origin Factory of Barbecue Wire Meshes. If you have any question, please feel free to contact us.